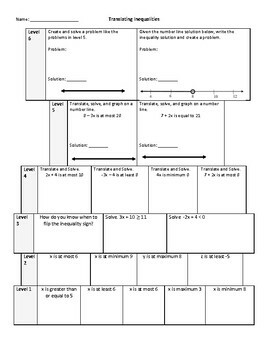 This "Tower of Power" is a scaffolded worksheet that allows students to coherently access translating inequalities. I have used this worksheet with my ELLs. I have used this as partner practice and homework.